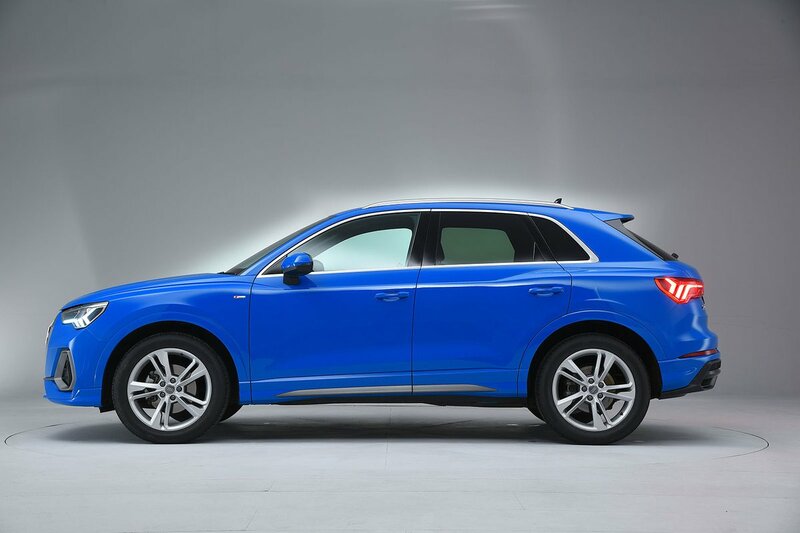 Audi Q3 Boot Space, Size, Seats | What Car? Whatever your size and shape, you’ll find plenty of space in the front of the Q3. Head room is generous, the seats slide back a good distance to maximise leg room and the interior feels surprisingly wide and spacious. Both front doors have useful pockets that are long enough to fit a one-litre bottle of water, and there’s also a handy non-slip cubbyhole directly beneath the climate controls, which is useful for throwing keys or a wallet into. Unlike the smaller Q2, which feels no bigger than a regular hatchback, the Q3 feels like a proper SUV in the rear. There’s loads of head room thanks to a high roof and heavily raked rear seats (which can be tilted in seven settings), and you won’t find your knees brushing the seat backs even if you’re over six foot tall. 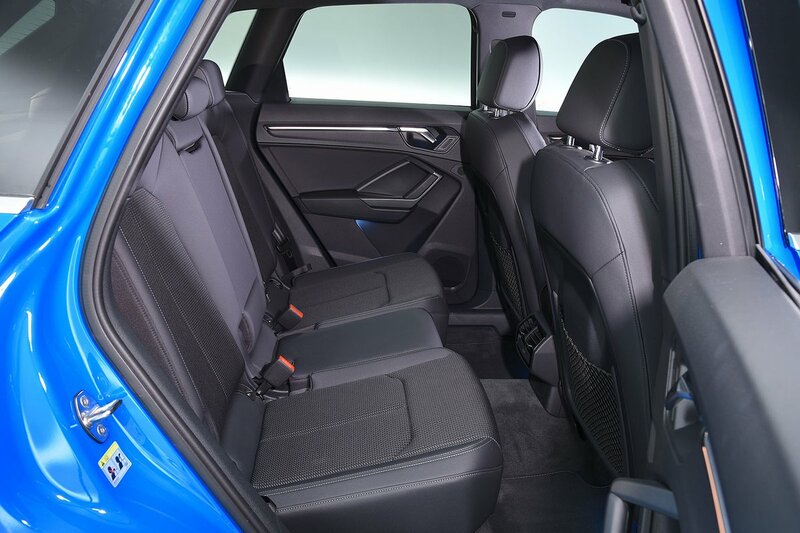 However, the XC40 has even more rear leg room and a bit more width, making it rather more comfortable if you’re vertically gifted. Rear passengers get a door bin each that takes a small bottle of water, while a central armrest with two cupholders is an option. The three-seat rear bench can be moved fore and aft by 150 millimetres as standard to cater for your preferred balance of passenger and luggage capacity. When the rear seats are set fully forwards, there's still space for children, but adults will find it a squeeze. The seats also split in a 40/20/40 configuration, which gives it one up in the practicality stakes over the Volvo XC40, which only comes with a 60/40 split. Even with the rear seats pushed all the way back, the Q3 has more space for luggage than a BMW X1, Jaguar E-Pace or Volvo XC40, with only the larger Volkswagen Tiguan offering more. 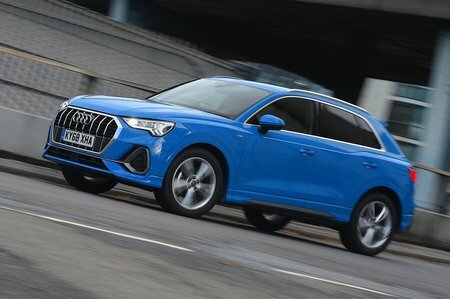 And should you slide the seats right forward, the Q3 offers a whopping 675 litres of space - more than you get in most SUVs in the class above. Drop the rear seats entirely and you should have no problem fitting in a mountain bike without having to remove its front wheel.